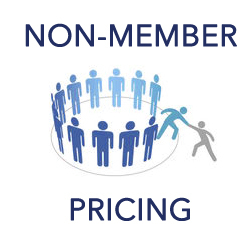 Non-members receive a complimentary 2019 ADRBC Associate Membership with their registration. 2019 Fall National Introductory Mediation Course - Register by August 18th for largest discount! Deferral of course registration is not allowed. However In exceptional circumstances, deferral requests may be analyzed and approved by ADRBC at its own discretion if based on extenuating circumstances beyond the control of the student. If the request for deferral is received more than 30 days before the first day of the course, a $150 administration fee will be charged. If the request for deferral is received between 10 and 29 days before the first day of the course, a $75 administration fee plus 25% of the PAID course registration fee will be charged. If the request for deferral is received less than 10 days before the start date of the course, a $75 administration fee plus 50% of the PAID course registration fee will be charged. If no request is received before the first day of the course, there will be no refund or credit for the registration fee paid and a deferral request will be declined. In all cases, when deferrals are granted, registration fees will become non-refundable.